Hi everyone I'm Jack Red, you seen some of my favorite Resident Evil monsters. 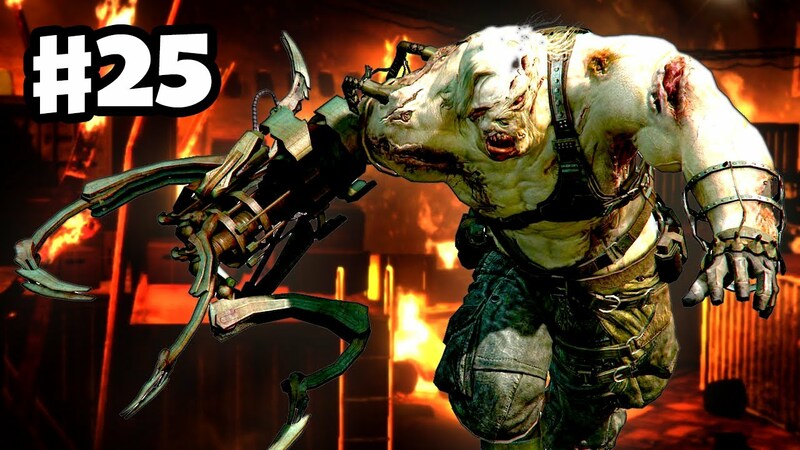 Now it's time to reveal some of my favorite Resident Evil boss fights. Of course everyone has a different opinion. I do expect a lot of people won't like this, all I asked for is be kind folks. This will be set up just like the other blog. Yes there's technically two Yawn bosses with two main versions of his second boss fight due to Remake. I always had a deep feeling most of the times I take on Yawn in his first encounter. 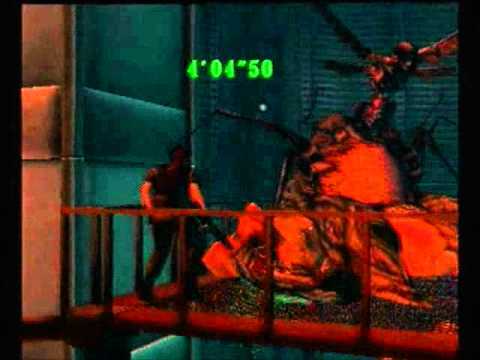 Usually people when they talk about RE1, one of the first bosses they talk about is Yawn. The fact you are going up against a giant snake in a place like this was nuts. Yawn may or may not been the inspire behind a couple of giant snake movies. He technically gets a successor in RE6 whose able to turn invisible at will. Snakes are already one of the most dangerous creatures in the world. 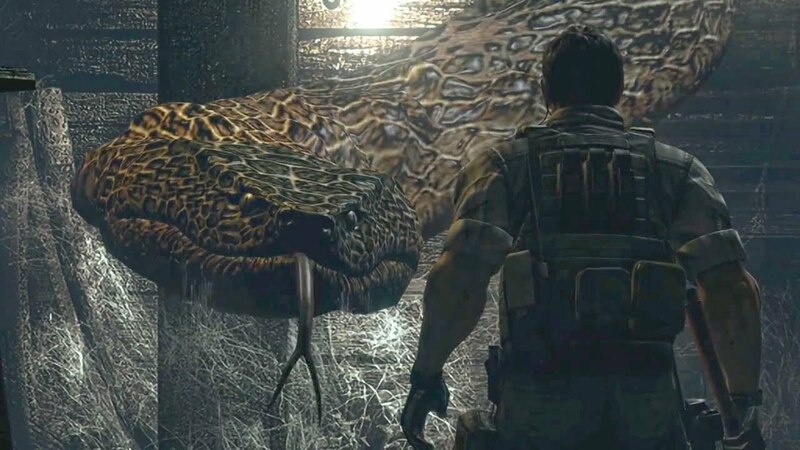 By making one snake into a giant creature is why I love horror movies & games. Yes there's five forms of William in Resident Evil 2. I'm choosing his second form since that's the first form of him I seen growing up. I used to confuse this with a tyrant clearly very different beings. William in this form oddly enough fights like a tyrant. I would say it is the best looking form of his. Although his third form does come close. Even his 1st form is one of the toughest monsters in the game. His second form has one of my favorite PS1 era boss fights. William form 2 is hands down, one of the scariest looking monsters ever. This form is notably faster than his previous form. I also love his cut scene where he transforms into this form. Technically two boss monsters you face multiple times. You could be facing Nemesis the entire time playing it. Of course the one Nemesis boss fight I felt deserves to be called his best has to be at Clock Tower. This boss fight can end speed runs faster than you think. Nemesis is at his best not giving you much room to do anything. I felt this was a obvious choice even for a game like CODE: Veronica X. Chris has to take on two forms of Alexia at the end of the game after saving his sister. OMG her second form takes a lot more damage than anything in the game. You could be possibly tanking a large amount of damage in just this one boss fight. Oh wait it gets more intense, Alexia transforms again becoming immune to most of your weapons. She flies around to constantly splitting at you. It turns out the linear launcher is the only way to kill her at this point. All you need is nail just one shot on her & beat the game. However she is among the fastest of enemies in the entire game. Both Queen Leech forms can tank a large amount of damage. There appears to be no such limit on Queen Leech form 2. Mostly Bill has to hold her off while Rebecca opens the shutters to bring in sun light. Of course for a final boss fight that's easier said than done. You can be firing the most powerful weapons for awhile. You simply can't flat out kill Queen Leech in this boss fight. Also when she attacks back at you, be prepare to tank some damage. This is still one of my favorite final RE bosses in the franchise. Queen Leech form 2 is also the scariest looking creature in the entire game. The timer isn't as important than most RE games. Verdugo is my favorite boss fight within Resident Evil 4. His exoskeleton is incredibly durable tanking even the most powerful weapons at ease. He is one of the fastest enemies in the entire game. Verdugo is also one of the few bosses in the entire franchise you don't have to kill. But if you somehow kill Verdugo, you get a major part of a crown. Which fully put back together is one of the best treasures in the game. Verdugo is hands down the most awesome looking boss monster of RE4. His cut scenes puts chill down your spine among first playing this boss fight. Verdugo will stay on top of where you are up til he comes straight after you. Keep paying attention to the button commands on the screen. 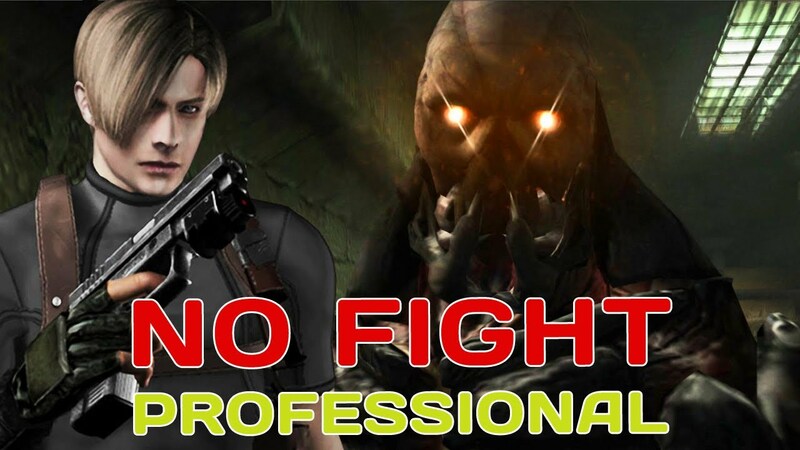 Wesker & Jill is the one boss fight on Professional difficulty that gave me trouble. 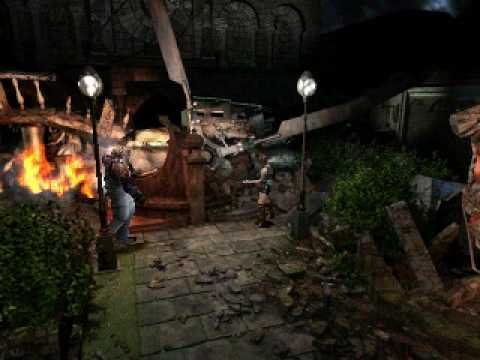 It's essentially two bosses at once, which still isn't common among RE games. Wesker is similar to most of his boss fights. At the same time, Jill will be tricky to avoid. I'll make it as painfully clear as humanly possible. The best way to win to go straight into fighting Jill is tank enough damage on Wesker. This boss fight is very frustrating to stay on top of. Obviously killing Jill will result into the continue screen. This isn't the paradox easter egg by killing Ocelot in Metal Gear Solid 3. Two very different fast bosses that's very accurate with their attacks. Ultimate Abyss is essentially T-Abyss' variation of the tyrant creatures. OMG this was a great final boss for an RE game. This guy you have to stay on top of every single second. He also has the most attack patterns of all the bosses in the game. Ultimate Abyss is hands down the single most difficult monster to kill. Believe it or not, in the famous Ghost Ship level of Raid Mode. If you are level 50 which is max level among defeating Ultimate Abyss. You will instantly take on a tougher, stronger variation of him. The regular him is already very difficult to take down just imagine facing that version. Ultimate Abyss is also the best looking monster in the entire game. Let's be honest I really didn't care for most RE6 boss fights. Funny enough I chose one of the select few boss fights shared among two campaigns. 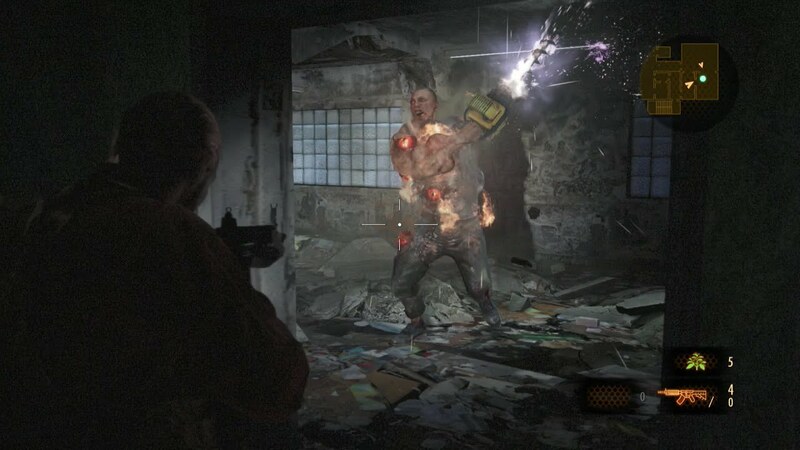 Ustanak is incredibly similar to RE3's Nemesis. Yes there's a few boss fights with him but which one made my list. I almost went with the final boss fight that led to a fist fight. Then I thought how funny it was taking on him with Leon & Helena. I felt out of all RE6 boss fights, this was the one I would keep coming back to. Ustanak uses two of his weapons in this boss fight. Thankfully the developers left stuff capable of doing big damage to him. Of course having the right weapons will help you a lot. I almost went with Monster Neil but I came to like Mutant Pedro more. You can play as that version of him in Raid Mode. 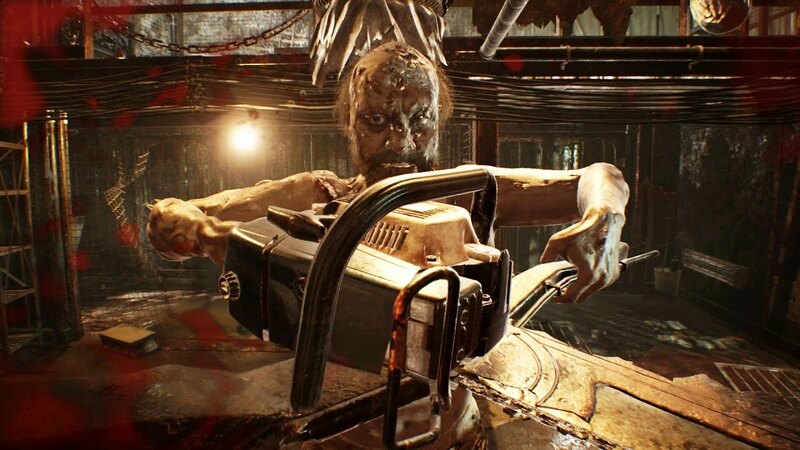 Yes he acts similar to chainsaw enemies but he has a driller device. He does have some weak points making him a little easier. I do like the cut scene when Pedro got too freaked out to become this monster. If Claire & Moira doesn't finish him in their portion of the campaign. Barry has to kill him in order to get his driller. However if you did take him down with Claire or Moira, Barry will find his driller. Thankfully in later runs you don't have to keep picking it up. Mutant Pedro is one of the craziest bosses in the entire game. Some REVII bosses were alright but I came to like Jack's second boss fight. You could use a chainsaw or another weapon of your choice. Jack will break through pillars with his custom giant shivers. Possibly a reference to another Capcom series Clock Tower. Some of my favorite lines said during a boss fight is present here. This was an entertaining boss fight before leaving to the next main area. Jack has a screw up death like scene since he does come back a few times. Ethan had to put up one hell of a fight to stay alive. This is still one of the craziest boss fights in the entire game. I would go as far to say one of my personal favorites indeed.